It turned out wonderfully. Isn’t great when he likes want you’ve done. Thank you! He likes the jersey so much that he’s been wearing it like a regular jacket, and keeps telling me how warm it is. Sometime when you aren’t working on a hundred other things, you should make yourself a jacket! 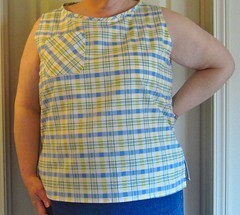 Have you seen this pattern from Greenstyle? 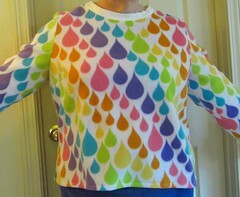 http://greenstylecreations.com/products/sundance-jacket-pdf-sewing-pattern-in-sizes-xxs-to-3xl. Some interesting details on that (I keep drooling over it, though I don’t really have a need for it.) In their Facebook group the runners recommend making it with Supplex (whatever that is?) rather than regular fleece, though. That’s fantastic! Thanks. I really should do this over the summer. I was just in a running store today, as my workout wardrobe is in desperate need of an update. 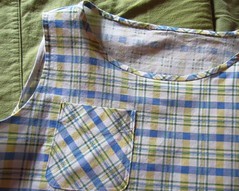 I was not impressed with the quality-price ratio so it occurred to me that I am stupid to not sew my own. I have loved everything you have sewn for your partner. Thank you for the link. I will quite seriously put it on the list! Thank you–what a kind comment! Well, I’m replying to comments this evening because I’m going to write a new post, so more fleece adventures are on the way! Yay! This comment made me happy–so thrilled to inspire someone to try something new! Thanks for stopping by, Shelly!